UK fine wine merchant BI has announced its fifth year of consecutive growth with sales hitting £95 million in 2018. 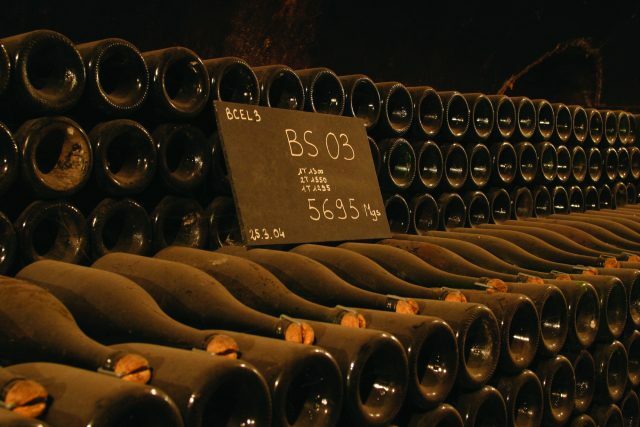 Although Bordeaux remained the backbone of the merchant’s turnover, reflecting wider themes in the fine wine market, Burgundy and Champagne made big gains as did US wines albeit from a small base. Although Asian buyers remained an extremely active and vital part of operations there was also a substantial boost from UK-based buyers. In total, turnover last year was up 8% from £88m to £95m. Excluding en primeur sales Bordeaux made up £42m of that (a rise of 10%), Champagne £12m (up 20%) and Burgundy £13m (also up 20%). US wines doubled their value to £6m overall. Sales through BI’s LiveTrade platform rose 17% to £39m with an average trade price of £6,700. From February to December last year close to 10,000 trades were made, over 55% of them, totalling £22m, being for the Bordeaux first growths. Château Haut-Brion’s 1989 vintage provided the best return on investment on the platform last year, seeing its price rise 37% from £17,150 for a case of 12 at the start of the year and finishing it at £23,500. Also in the best-performing chart were Château Margaux and Haut-Brion 1990, 2015 Hermitage La Chapelle and 2004 Dom Pérignon Rosé. Meanwhile, the best selling labels by value on LiveTrade last year were: 2015 Château Haut-Brion, 2008 Cristal, 2014 Lafite, 2004 Bollinger RD and 1996 Latour. Asian buyers accounted for almost half of the total turnover, £43m, but it was the UK that showed the most growth with British buyers making up 38% of total sales with an 18% increase in sales to £39m. As BI said this was achieved not just through “strong momentum” in Bordeaux but a much broader selection overall. Managing director Gary Boom commented: “2018 proved another strong year in the market and at BI. While the spread of purchases was broad, there was a noticeable focus on what might be deemed ‘the very best’, in terms of producers, estates and vintages. Many buyers are taking a long-term view and securing their share of top wines from back vintages before they become too scarce. “We’re particularly excited about the growth in LiveTrade sales, and the strength of the first growth market. With first growth sales totalling £22 million, this comfortably makes LiveTrade the most significant global platform for trading First Growths. This trade in physical vintages (as opposed to futures) reflects the continued flight of private capital away from equities and into physical assets.